Communications watchdog Ofcom has announced a plan to compensate landline and broadband subscribers should their lines go down and not be repaired quickly and with a minimum of fuss. While many providers do offer compensation for unusually troublesome connectivity, such as BT's Customer Service Guarantee which offers line rental rebates for extended outages, these programmes usually require the customer to actively make a claim - and, for obvious reasons, are rarely proactively advertised by the respective companies. In a consultation due to close on June 5th, Ofcom is suggesting changing this with a switch to automatic compensation. Ofcom's proposed scheme would see landline and broadband customers compensated £10 per calendar day for each day their connection is unavailable beyond the first two days of reporting the fault, £30 each time an engineer either fails to turn up at all or cancels a booked appointment with fewer than 24 hours' notice, and £6 for every day beyond the scheduled start state a newly-provisioned service is unavailable. 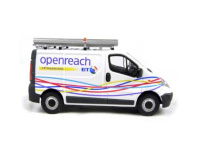 Elsewhere, Ofcom has also announced a record £42 million fine for BT over breaches of contract by its wholesale arm Openreach, failing to pay its customers the contractually-obligated compensation for connection delays. As well as the £42 million direct fine, the biggest in Ofcom's history by an order of magnitude, the company will be fined an additional £300,000 for failing to provide accurate and complete information to Ofcom during the investigation and will be asked to pay the missing compensation, which is valued at around £300 million, to customers affected by the contracts. More details, and the form for making a response to the consultation, can be found on the official website.